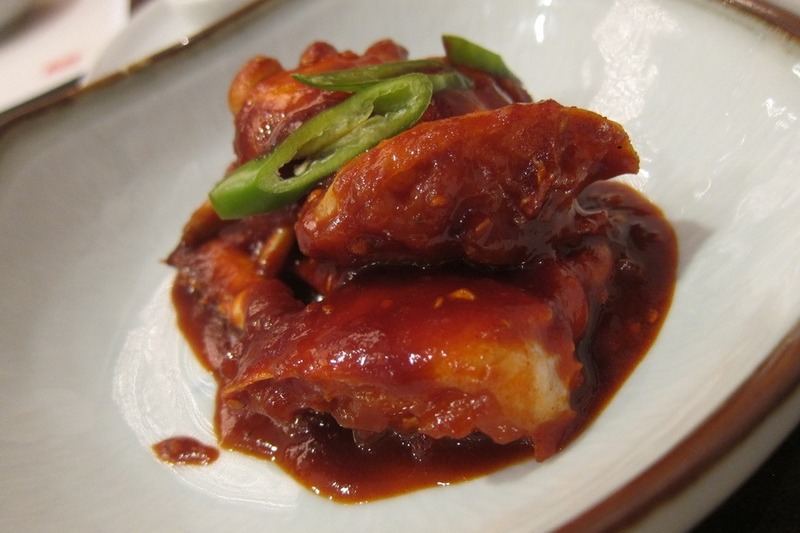 Located at 635-1 U-1dong, behind the Road-beach hotel in Haeundae, Mapchanduel Wang Sogeumgui specializes in delicious, tender pig parts in a casual atmosphere. Mrs. Selfish and I had a reservation for 2 on a Wednesday night, but that probably wasn’t necessary. The place was busy, but not packed. Still, we were seated outside in the partially enclosed area as the main restaurant was full. 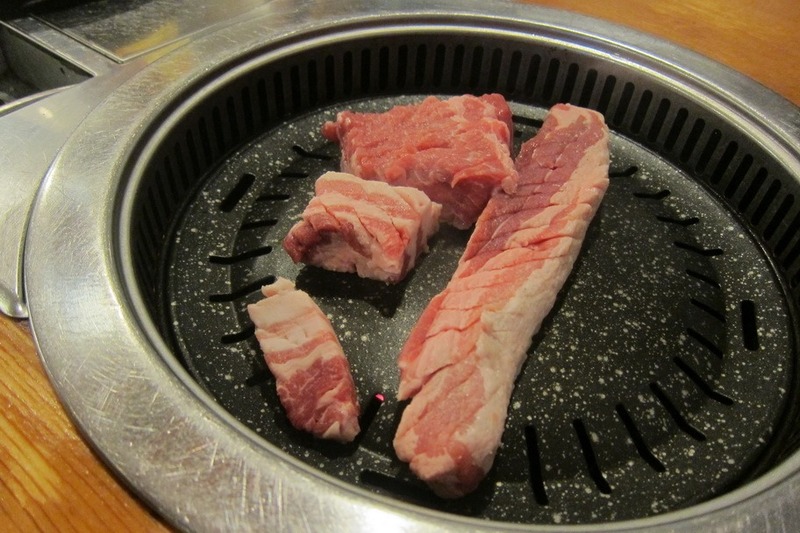 We decided to get their top two items, an order of moksal (pig neck) and and two orders of samgyeopsal (pork belly). 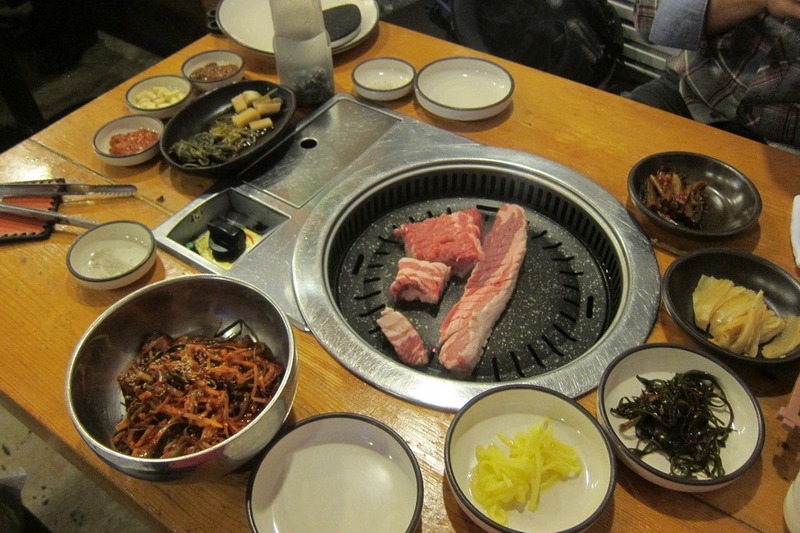 As with most Korean BBQ joints, we were hit with a load of pickled sides, which cut the fattiness of the meat excellently. 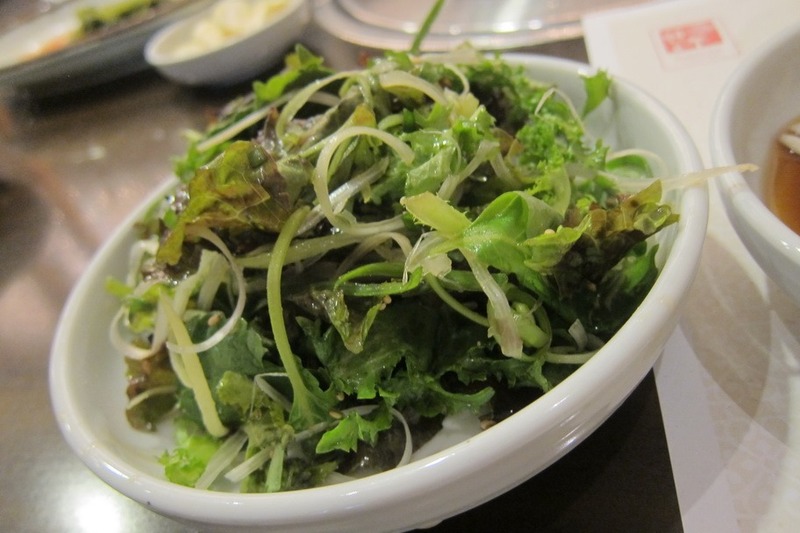 Unlike Bonga, there weren’t too many greens to wrap the meat in. 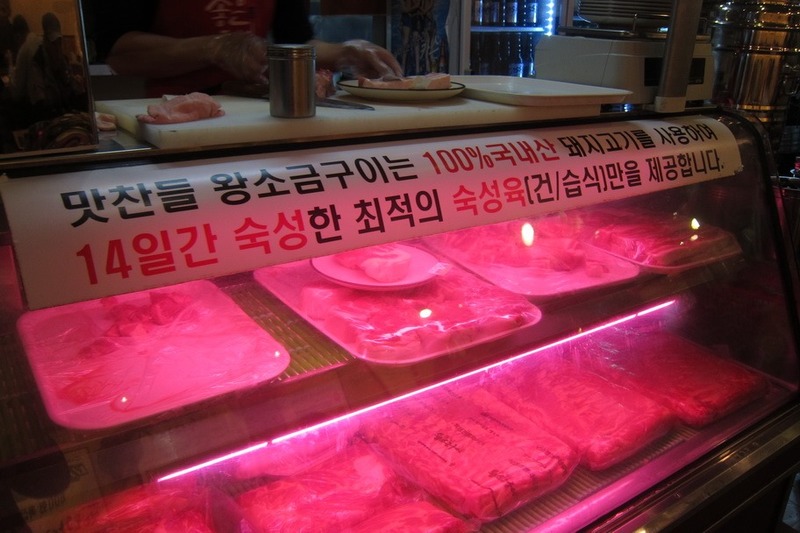 This was fine, however, as they would have only distracted from the pork, the king of meats. 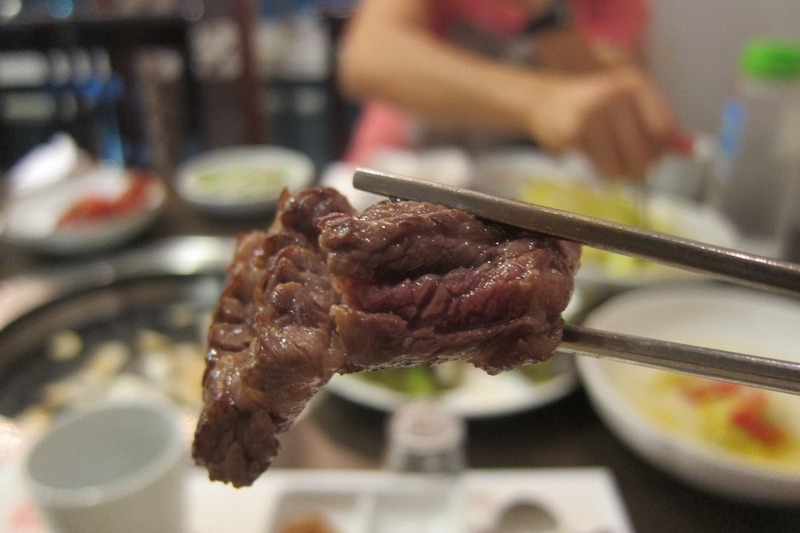 Fatty, delicious, succulent, and tender, the galbi practically melted in your mouth. 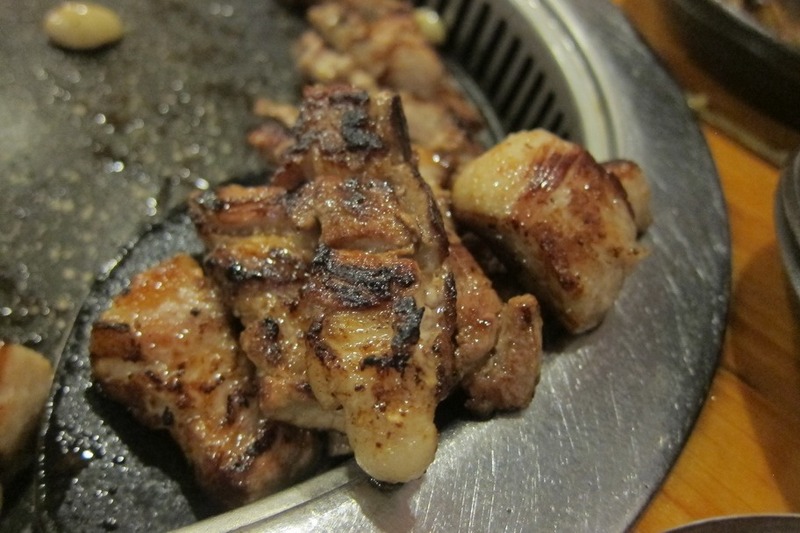 As a pork fan, I was in heaven, especially since we roasted up some garlic cloves on the side. 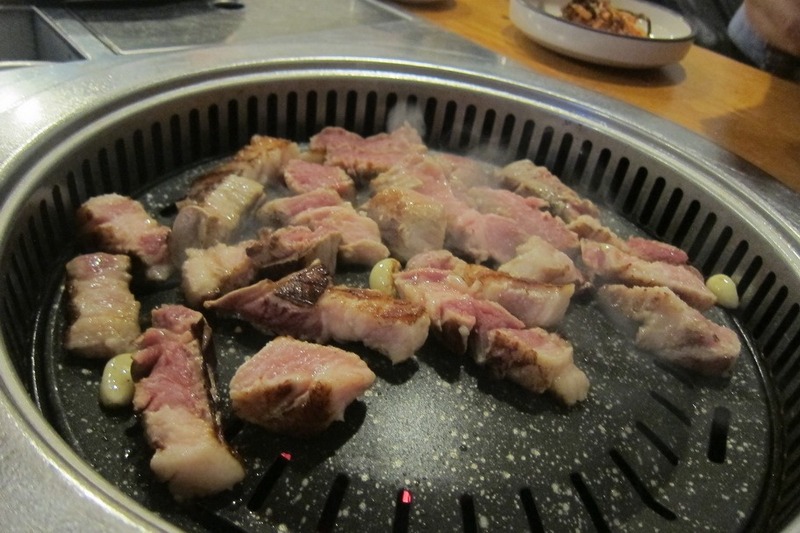 At 9,000 KRW (~$9 USD) this pork paradise is dirt cheap too. 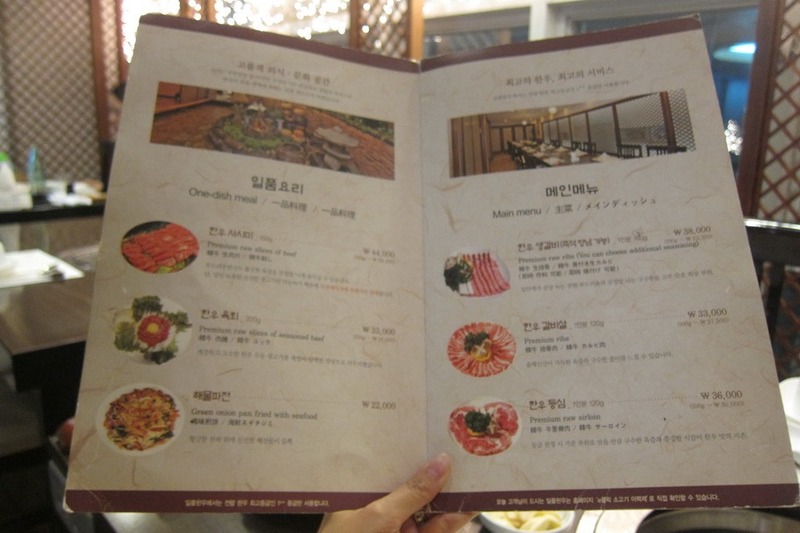 Our total meal came to only 28,500 KRW (~$28.50). Totally worth it, and in retrospect I regret not eating there a second time. 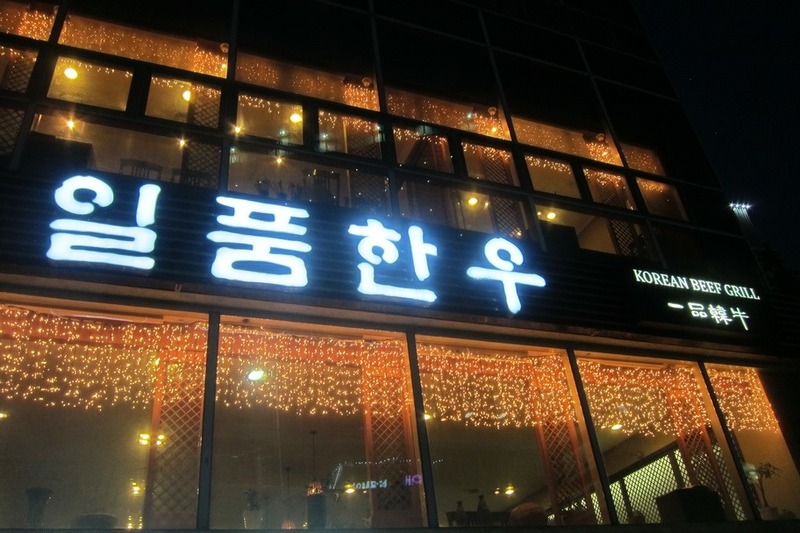 Located at 626-11, U 1-dong in Haeundae, Ilpum Hanu is a very easy restaurant to find – especially since they’ll pick you up if you make a reservation! That should have been warning flag number one: this place is going to be expensive. In all honesty, it wasn’t that pricey, but it is a sign that the place might be going more off of ambiance or service than food quality. Again, though, I am biased. I love hole in the wall joints. Warning flag number 2? They had an English menu. 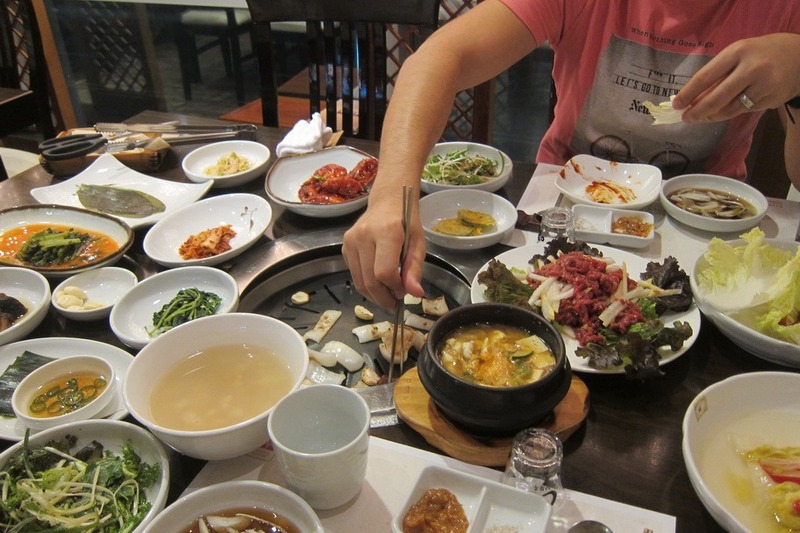 Despite my concerns, I was excited to try a fancy meal on this trip, since even Trip Advisor had rated the restaurant highly (#3 in Busan – warning flag number 3!). 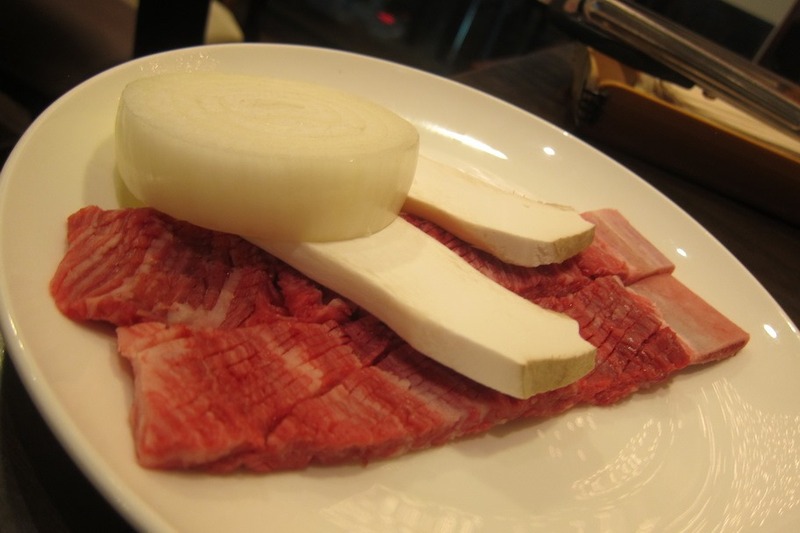 Unfortunately, Ilpum Hanu was out of their premium slices of raw beef, so Mrs. Selfish and I settled for an order of their premium raw ribs (38,000 KRW, ~$38 USD) and an order of their premium raw slices of seasoned beef (33,000 KRW, ~$33 USD). To start, the sides were excellent. You want fresh greens in a light vinaigrette? They got that. You want a heaping order of marinated, raw crab? Yep, they got that too. 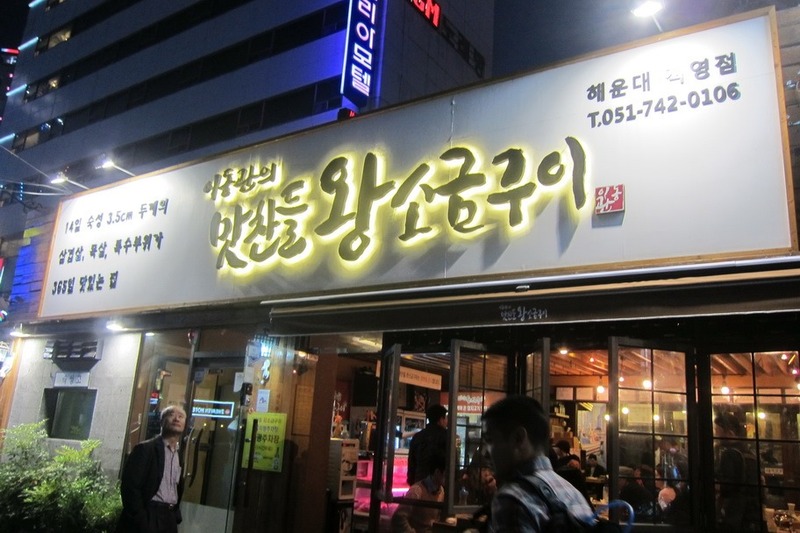 You want an assortment of 18+ dishes with various broths and tofu soups? Yep, they got those too. Unfortunately, while most of the sides were excellent (especially the presentation), the meat itself was a disappointment. 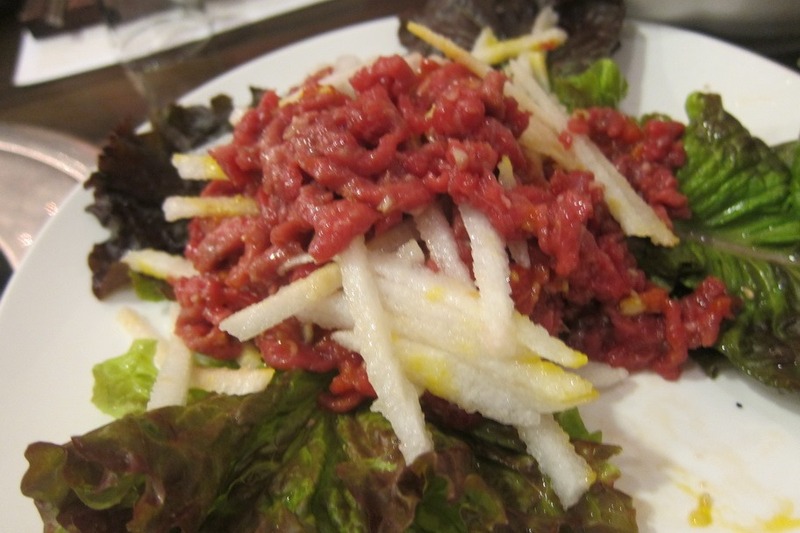 While I have no problems with the ribs (they were quite tasty, and the dipping sauce was excellent), the “raw slices of marinated beef” felt like nothing more than glorified hamburger meat. Very little depth of flavor and almost no marinade flavor to speak of. 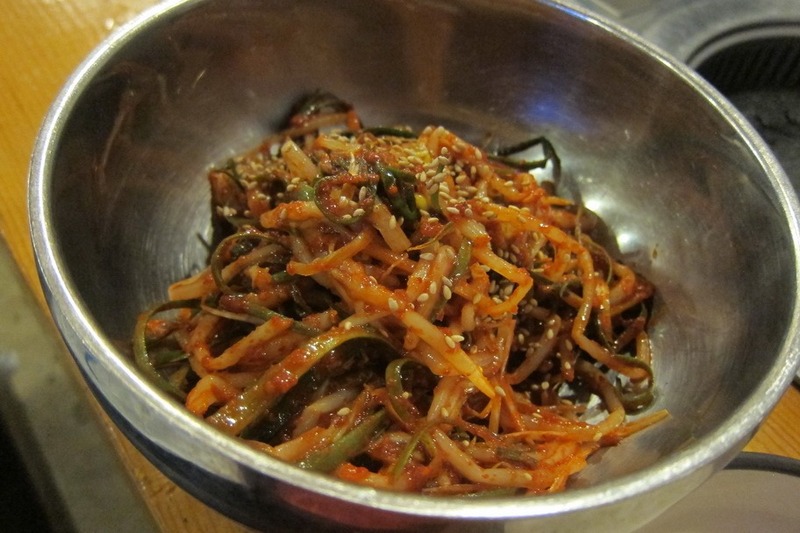 Couple that with the fact that this was our most expensive meal in Korea at 75,000 KRW (~$75 USD) and it didn’t make for the best experience. 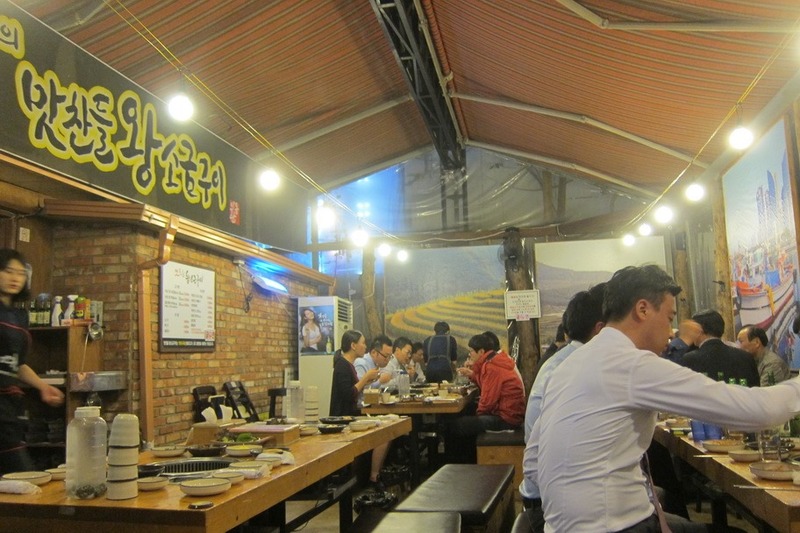 Granted, that isn’t a ludicrous amount of money to throw on a meal, but I enjoyed my meal at Bonga in Seoul way more, for roughly 1/2 the price or Mapchanduel Wang Sogeumgui for nearly 1/3 of the price! Feeling full, yet empty inside, we retreated back to our hotel to pack our bags for our last day of traveling. Join us tomorrow, when we’ll blast through Hong Kong in 14 hours: dim sum, giant Buddhas, and protests await!